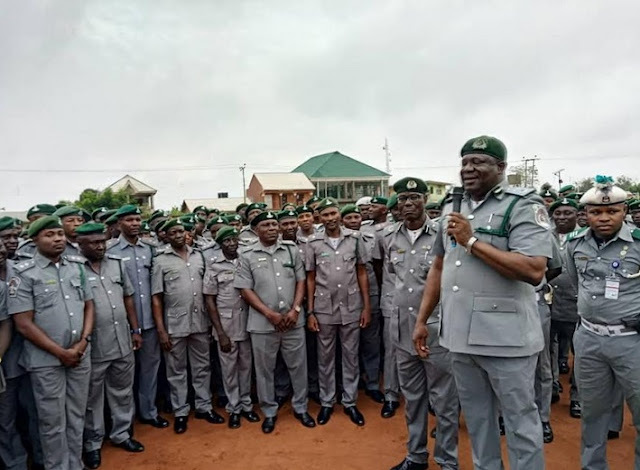 The Ogun State Area Command, Nigeria Customs Service has said it has generated a revenue of N2.6bn between January and June 2018. The Controller of the command, Michael Agbara, stated this on Wednesday at its Idiroko border office. 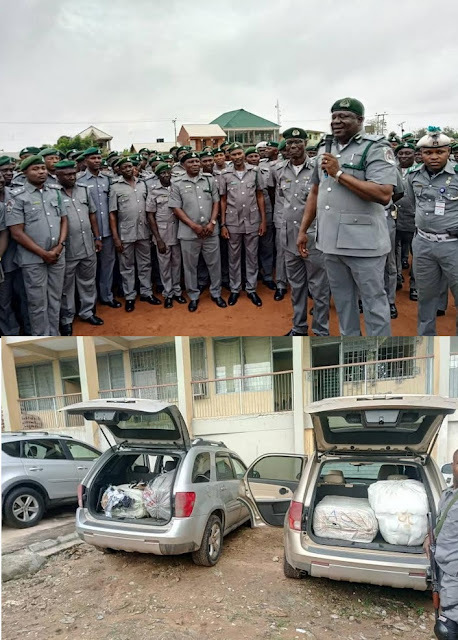 He told newsmen that the command's anti- smuggling strategy was quite effective, as its operatives also seized 215 units of smuggled vehicles popularly known as 'Tokunbo'being ferried through illegal routes into the country. "In the last six months, other seizures according to Agbara include a total of 15,976 bags of foreign rice 50Kg each, 1,148 kegs of vegetable oil, 24 motorcycles, 161 compressed packs of Indian hemp among others". 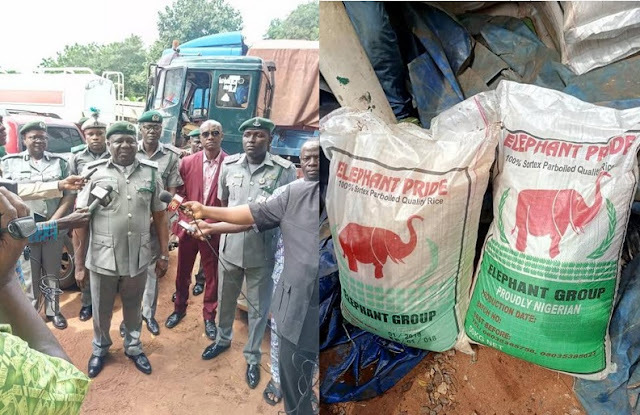 Agbara, also reviewing the activities of the command within the last one month, said it generated N393.5m, seized 37 smuggled vehilces and 3,000 bags of foreign rice among others. 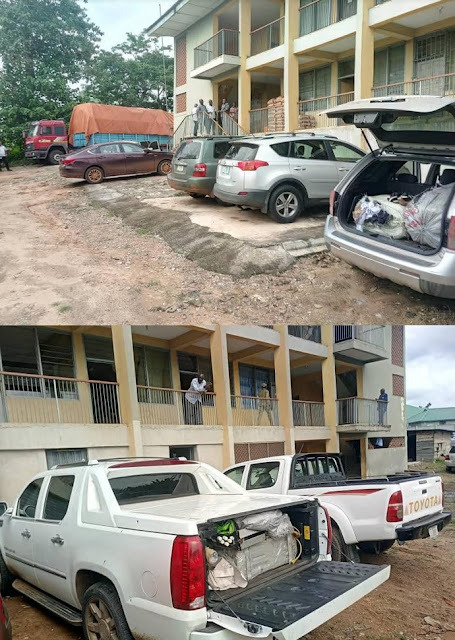 He disclosed that concerning the rice seizure, a particular truck intercepted around Mowe-Ibafo axis conveyed 600 bags packaged in branded bags of a local producer of rice, in order to beat the Customs' operatives. He said, "Ninety-nine out of these 600 bags were the local brand of the rice producer while 501 bags were smuggled foreign parboiled rice re-bagged in the bags of the local producer. "They did this just to beat our operatives but our operatives were vigilant and were able to detect this." He also said one drone camera, 244 kegs of vegetable oil, 208 pairs of used shoes, 4,220 cartons of tomato paste, and 115 kegs of Premium Motor Spirit(petrol) among others. "Interestingly, we seized a drone at our parcel post when people think they can use it. If you want to buy drone and you bought it make sure you get an end user certificate, in this case there is nothing like that. Since a month ago, we gave the person that bought it a chance to bring the end user certificate, but since he's yet to come I dont have any other choice than to seize it, that is the directive from the government. "Equally, I want to inform you that all these efforts are achieved through hardworking of my officers who are on patrol day and night", Agbara said. The controller said the smugglers usually smuggled the PMS through the creeks. Agbara warned smugglers to desist from the illegal venture, adding that the command would continue "to go after them whether in the creeks, bush or on the road. " He, however, said three suspects had been arrested concerning some of the seizures.